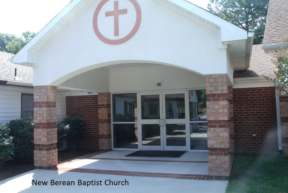 It was founded by Senior Pastor Leroy E. Ricks, Sr in 1989. He along with two other families followed the calling of the Lord to begin a ministry based on faith in the word of God. The ministry was established as a place for believers of like faith to follow the “Commission of Christ” to preach the Gospel, baptize believers and disciple them to teach others. Our doctrinal beliefs are biblically based and we believe them to true and consistent with the teachings of Christ, Paul the Apostle to the New Testament Church and other witnesses of the christian faith. Our ministry work is designed with being “Committed To The Commission Of Christ“. We are co-labors in the commission with several Christian Missionary Pastors and Organizations. We support them as they have committed themselves to sharing the gospel throughout the world. At home locally and abroad, Christ is preached.